I usually come across with articles on the Net asking if hypnosis or hypnotic influence is just magic trick. There are even people who think that hypnotists are just claiming that they have the power to make people be under their influence as well as having them to perform things the hypnotist wants them to do. Well…maybe some people are really still having doubts about it, and that makes them to be far from amazing results hypnosis can bring to them. Is hypnosis, mind power, NLP, hypnotic influence really effective? Do they really work? The reason is most don’t have a clue about how using actual physical energy works. 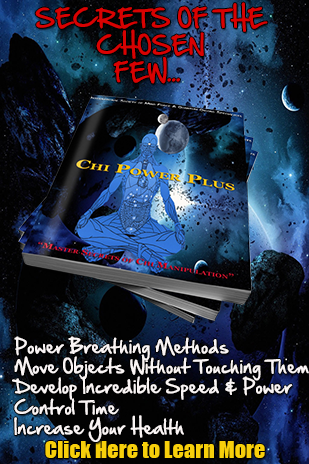 When I teach Chi Power methods to people, it is a physical, tangible energy that can actually be felt. When you use this with your Hypnotic Influence, your abilities go up exponentially. The above video will explain more for you to comprehend a lot about hypnotic influence and how to use your energies. Have you heard about covert hypnosis? Do you know that a lot of us have been unknowingly using this in our entire lives? If you can certainly know that there is a technology with which you could use and which can allow you to augment your capability to control yourself and all aspects of your life. Believe it or not, you will surely having yourself thinking as one of the world’s greatest! A famous performer? A successful business person? A persuader? An influencer? What if I told you: you can do it and still as moral and ethical as you are right now? Interested to use it? For sure you are! Rewind your life for a moment. Think about those parts of your life where you have experienced those sufferings and difficulties in your life. How many times you have set goals and fail to achieve them? How many times you have planned the path of your success and found out that you are leading the wrong way? Do these failures make you become doubtful of success? Maybe it has also gave you the thought of yourself not worthy of success, either personal, career, social or any aspect of your life. My programs and trainings have the aim of taking back the control, the power that have been lost to you, or the ability that have been dormant in your life. I want to help you get a more vivid focus, a target that will surely help you realize the success that you’ve been longing for. It is now a secret no more that we can actually reprogram or tap our subconscious mind. Just like a computer where data are can be restored, backup, delete and refreshed, our mind can do so. Doing so can open great horizons to boundless opportunities; this can be your key to have abundance and success to aspects of your life where you used to have problems. This doesn’t end there. There are still a lot of worthy things that can be learned when you realize the powers of energies and abilities you have within you. People may still be asking themselves if all these I talked about are being reliable and effective. Of course, anybody must have the basis, the proof that will give them the guts to follow and believe what I have said. I have been in those parts of my life where I see nothing but negativity and failures. I have been rejected, flunked and devastated. I almost quit, but then thanks to those who have enlightened me. I have attended trainings, several programs, working hard to learn amazing things such as chi power, hypnosis, hypnotic influence, and some other sorts of things like that. I have never regrets. I now can prove that I have benefitted from those trainings and all the works that I have persevered on. That is why my books and manuals also contain those personal notes which I believe can be helpful resources for people who are seeking significant changes in their life. I want them to have the self-esteem and confidence that I have now. I want also people to experience the amazing happenings where I am right now. I want YOU to also benefit from these amazing things. Contact me now and start creating significant results NOW.